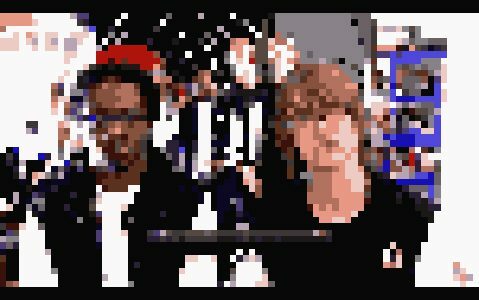 The Biters Project artists David Blandy and Larry Achiampong have been selected by curator Teresa Cisneros to take part in Iniva’s Open Studio & Residency programme. Larry Achiampong is a British-Ghanaian artist who has exhibited, performed and presented projects in various institutions within the UK and abroad including Tate Britain/Modern; London, Hauptbahnhof (dOCUMENTA 13); Kassel, Iniva; London, ICA; London, Yinka Shonibare’s Guest Project Space; London Westergasfabriek; Amsterdam, Ausland; Berlin, and the Bokoor African Popular Music Archives Foundation; Accra. David Blandy has exhibited at venues nationally and worldwide such as The Baltic; Gateshead The Bluecoat as part of the 2008 Liverpool Biennial, Turner Contemporary; Margate, Spike Island; Bristol, 176; London and Platform China Project Space; Beijing. INIVA's TALK 21 June 2014 - To Bite: Biters?